Do you need first page visibility in a wider area than what local search results can provide? Do you want to highlight a particular aspect of your business? Do you want first page visibility for your business today? 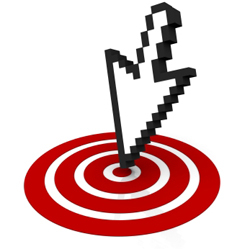 Have you heard that Pay-Per-Click, or “PPC”, advertising can be very expensive? Perhaps you have had first hand experience. Effective search and social media marketing campaigns involve a lot more that writing a few snappy lines of ad copy and selecting a bunch of keywords. Let (949) Local show you how effective online marketing really can be! We are experts in online marketing and a Certified Google AdWords Partner . We can create a highly targeted, measurable and cost effective online ad campaigns to put you ahead of your competition regardless of your budget. Contact us today to learn how (949) Local can put your business on top of your competition!